James Naughtie and writer Louise Welsh discuss Kidnapped by RL Stevenson as part of the BBC's #LovetoRead season. Recorded with a group of readers at the Hawes Inn, Queensferry. November's edition is a Classic Bookclub as presenter James Naughtie chooses Robert Louis Stevenson's adventure story Kidnapped as his favourite from his own reading life, as part of the BBC's #LovetoRead Season. In the absence of Stevenson, our guide to the book is author Louise Welsh, who has written an opera inspired by him. Kidnapped is one Stevenson's best loved titles. It's an historical adventure novel set in Scotland after the Jacobite rising of 1745 and tells the adventures of the recently orphaned sixteen year old David Balfour, as he journeys through the dangerous Scottish Highlands in an attempt to regain his rightful inheritance. James Naughtie says : "As a young boy Robert Louis Stevenson was my guide to adventure. Kidnapped was always at hand and, like Treasure Island, it introduced me to great story-telling. A boy alone in a country torn apart by war, betrayed by a sad but wicked uncle, and a coming-of-age through adversity. Reading it again, I can still feel the thrill of the first time. That's what great books do". Author Louise Welsh has said "I think if you were to stop any Scottish writer and ask them to list their top three writers that made them want to write they would mention Stevenson. He's always been number one for me." Bookclub's #LovetoRead on Kidnapped is recorded as always with an audience of readers, including members of the RLS Club, local school children and university students, at the Hawes Inn, Queensferry, where Stevenson is thought to have started the novel in 1866. December's Bookclub Choice : Bright Lights, Big City by Jay McInerney. David Tennant introduces Stevenson's gripping adventure story, dramatised by Chris Dolan. 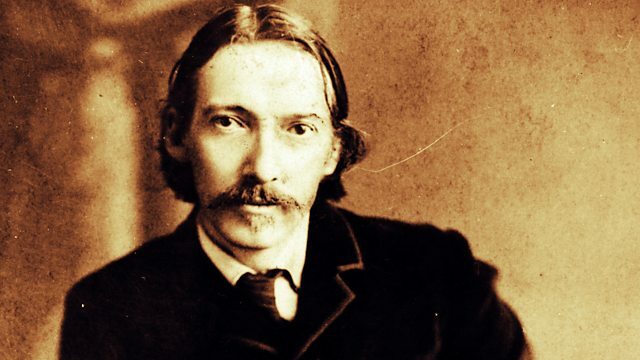 Robert Louis Stevenson's disturbing tale of a scientist who experiments upon himself. A campaign celebrating the pleasures of reading. Twenty questions to test your knowledge of Margaret Atwood's famous novel.